Welcome to Japan, a flashing, enthralling, cultural whirlpool of excitement that the whole family will love. Ancient and ultra-modern stand side by side in this family-friendly country. Whether your brood are the outdoorsy type or more at home with technology - Japan is a mind-boggling experience for all. If adults are blown away by Japan, can you imagine what it must be like for a child? This intriguing country delivers adventures on a grand scale. From ancient emperors to hi-tec gizmos, there are endless experiences to get stuck into. Learn the ancient art of calligraphy, feast on fresh sushi and bathe in an onsen ‘Japanese hot spring bath’. You can even cook your own okonomiyaki on a Tokyo Bay boat cruise. Experience a night on a tatami ‘traditional mat’ and explore incredible temples, shrines and countryside along the way. 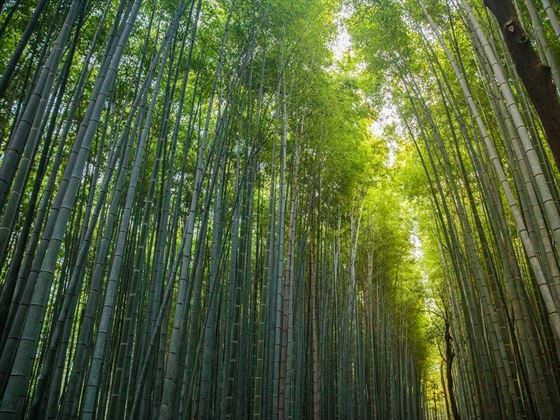 You’ll get to visit Hiroshima for fascinating history, walk through bamboo forests and visit a monkey sanctuary in Kyoto. Local guides will share their knowledge and expertise on every step of your adventure and help build lifelong memories for everyone. Tokyo’s dazzling lights and dizzying array of cuisine are a delight and you’ll experience many forms of transport; from boats to bicycles, high speed trains and a cable car. There’s quite a bit of walking involved, so you'll need a good level of fitness and comfortable walking shoes (INT - CJFP). Konnichiwa! Welcome to Tokyo, Japan's buzzing, whirring capital. Check into your hotel, where the excitement will start to build for your utterly enthralling adventure, when you gather for your 6pm Welcome Meeting. You'll meet your leader and the rest of your group at this meeting and nsurance details and next of kin information will be collected. Your group leader will give you lots of essential information for the next eleven nights too, so don’t miss it! Overnight: Asakusa Sunroute Hotel or similar. No meals are included today. You’ll kick the day off by visiting the Tokyo Metropolitan Government Building which provides awesome views of the city and beyond. On a clear day, you can see Mount Fuji, the Tokyo Skytree, Tokyo Tower, Meiji Shrine and Tokyo Dome from this lofty vantage point. 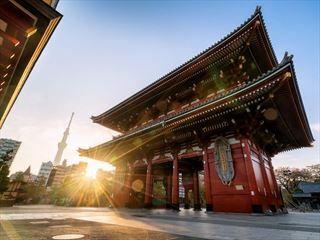 You’ll then visit the Sensoji in Asakusa, one of Tokyo’s most important temples and shop for quirky souvenirs in the shops leading up to the temple. Try your hand at calligraphy while you're in Tokyo and if time permits, pop along to a manga (Japanese comic and cartoon) market, located out in Akihabara. Overnight: Asakusa Sunroute Hotel or similar. Breakfast included. Today you’ll get a proper taste of Tokyo, starting off in the Tsukiji Fish Market, where you’ll have a delicious sushi breakfast before the main market opens at 10am. Not fans of sushi? 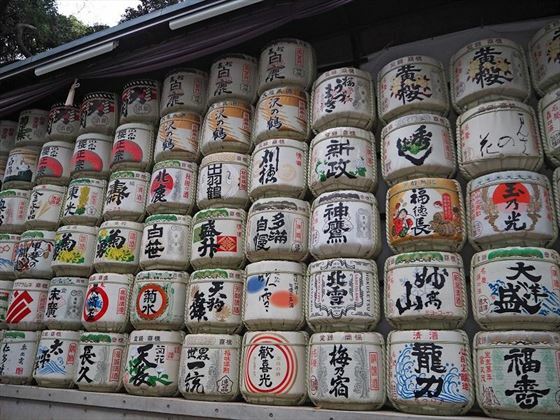 Don’t worry, there are plenty of other things to try in Tokyo. The kids are sure to love tempura, yakisoba noodles and tonkatsu (deep fried pork cutlet). Try a little of everything and see what tempts their taste buds – and yours! Wander through the aisles of the biggest wholesale seafood market in the world, which sells over 400 different varieties of seafood. Listen to the merchants and buyers making their deals and dodge the speeding market trolleys piled high with crates of fish. Your culinary journey through Tokyo continues on a walk through a depachika, a foodie department store with a mind-boggling array of Japanese foods, followed by lunch with the locals at Yoyogi Park. On one of your nights in Tokyo, you will have the opportunity to dine on a boat and cook your own 'okonomiyaki' (hotplate pancake) – a really fun experience on Tokyo Bay. Overnight: Asakusa Sunroute Hotel or similar. Breakfast, lunch and dinner included. Today, you’ll board the train to Hakone. 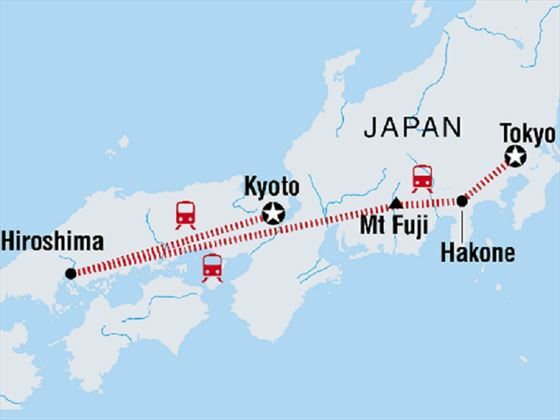 Even a normally mundane experience like train travel, can be exciting in Japan. Fast and reliable, with white-gloved guards bowing as you enter the train are moments to remember. Hakone is part of the Fuji-Hakone-Izu National Park and is an astonishingly beautiful place to visit. The whole family will love this adventure playground. 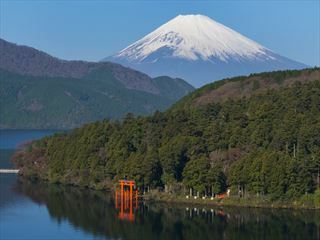 From hot springs to bush walks, tranquil lakes and stunning views of Mt Fuji, there’s plenty to keep you busy here. Overnight: Fuji Hakone Guesthouse or similar. Breakfast and dinner included. Hakone and its onsens (hot spring baths) are the perfect place to relax and unwind with the family. You’ll be dropping into the Karakuri secret box museum today too, where you can attempt to open the boxes for a unique Japanese gift to take home. There will be a scenic lake walk before you arrive at your cosy, family-run guesthouse – complete with Japanese baths for your enjoyment. You’ll spend the night in true Japanese style. Authentically furnished and probably your first time sleeping on a tatami mat! Overnight: Mitake Ryokan or similar. Breakfast and dinner included. Today, you’ll have a fascinating, if sobering visit to Hiroshima. You’ll learn about the tragedy and the aftermath of the atomic bombing during World War II. Later today there’s an optional walk to find out more at the Genbaku (A-Bomb) Dome and the Peace Memorial Park and Museum, which are two emotional memorials to the tragic day in August 1945 when Hiroshima came under nuclear attack. Overnight: Ikawa Ryokan or similar. No meals are included today. 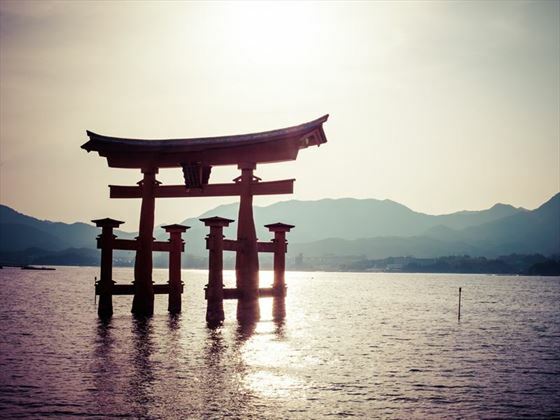 This morning, you’ll take a short ferry ride across the inland sea to the beautiful island of Miyajima. Here you will see the venerable Shinto shrine of Itsukushima, with its remarkable and huge bright orange gate (tori) - a stunning sight to behold at high tide. Stroll through the lovely Momaji Park (Maple Valley) or if you wish, take the cable car up to the top of Mt Misen, looking out for deer along the streets. Back in Hiroshima, you’ll have some free time to explore at leisure. Perhaps check out more of the exhibitions at the Peace Memorial Park and the Hiroshima Peace Memorial Museum. Today, you’ll arrive in one of Japan’s most stunning cities – the incredible former imperial capital of Kyoto. On the way there, your driver will stop at Himeji Castle. You’ll see some of the finest temples, shrines, palaces and gardens in the country, with a tantalising mix of included activities and free time. 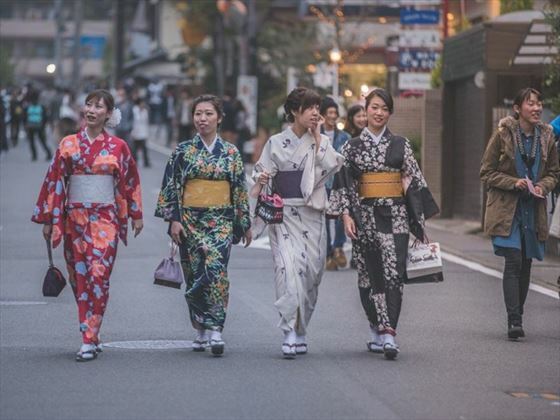 Wander through the Gion district this evening with your group leader and look out for elaborately dressed geisha (geiko), who are highly trained in the arts of music, dance and entertaining, particularly at ochaya (tea houses). Next, you’ll make you way to a food market. Why not stock up on lots of tasty Japanese treats for a riverside picnic tonight? Grab a Bento Box (the Japanese equivalent of a lunch box) and fill it with a variety of food. Packed lunches never tasted so good and the kids will love it! Overnight: Daiwa Roynet Hotel or similar. Breakfast included. Kyoto literally means ‘Capital City’, even though the Emperor and the government now reside in Tokyo. The city still lays claim to having some of the country’s best landmarks, historic sites, traditional arts and literature though, and is regarded as the cultural heart of Japan. Today you’ll make your way to Kyoto’s famed Fushimi Inari Shrine, known as the ‘Path of the Red Gates’ and a great attraction to visit with children of all ages. The temple is the shrine of Inari, the god of rice and there are thousands of red toriis (Japanese gates) that lead up the mountain to other monuments and shrines. Keep a look out for the fox statues on the way. For the energetic amongst you, the full walk up to the top will take about two hours. The views are definitely worth it. This morning In Kyoto, you'll visit a monkey park. 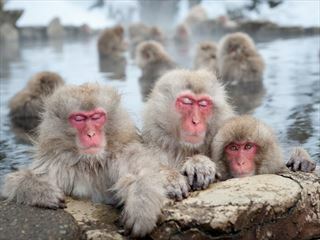 Look out for the snow monkeys, also called “Japanese macaque” which are native to Japan. These are the monkeys you will have seen in iconic photos, bathing at hot springs in the winter. You'll also visit the Tenryu-ji Temple, near an incredible bamboo grove which is one of the most photographed city sights. Later today, there’s a wonderful boat cruise down the Hozu River. Admire the Japanese maple trees dotted along the river banks. If you’re lucky enough to be there during hanami between March – May, you’ll be treated to the fabulous sight of cherry blossom trees in full bloom. Today is completely free for you to enjoy the many charms of Kyoto as you please. Why not gather the family or join forces with your fellow travellers and explore more of the city on a bike? One of the best ways to get around Kyoto, the city is regularly voted one of the best places in Asia for bicycles. There’s good reason for this, as the city is mainly flat, the roads are well maintained and there are also plenty of places to park your bike. What are you waiting for? Get peddling! Or, you can even try your hand at the ancient art of Samurai sword dancing or have a Taiko drum lesson! Your family’s adventures in Japan come to an end today and there are no further activities planned. Check out from your hotel is at 10am.